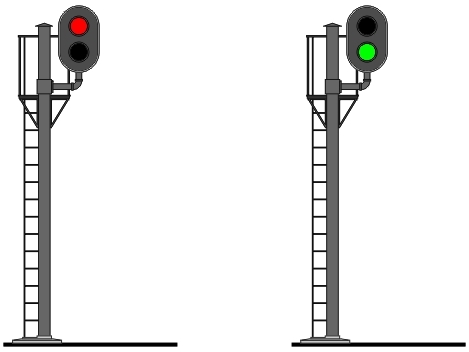 Like most railways, the RSR today employs exclusively colour-light signals. This was, of course, not always the case. 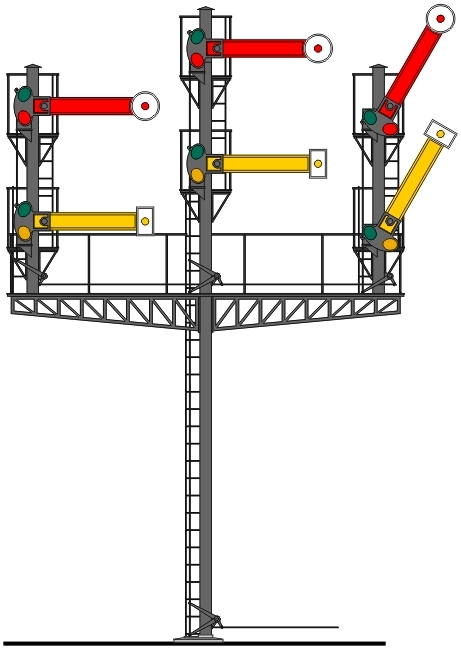 In 1925 the RSR embarked on a signalling standardisation programme. 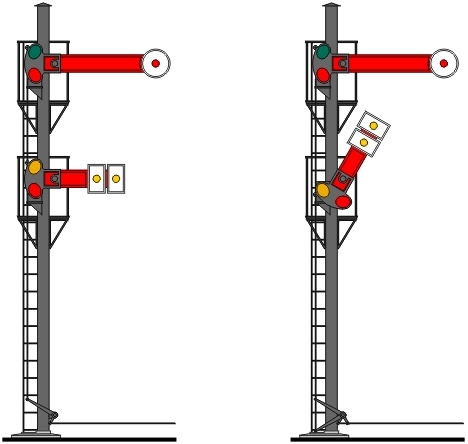 This called for the use of identical arms on all semaphore signals and identical aspects for junctions, calling-on and shunting. All signals were to be upper-quadrant with an angle of movement of sixty degrees. 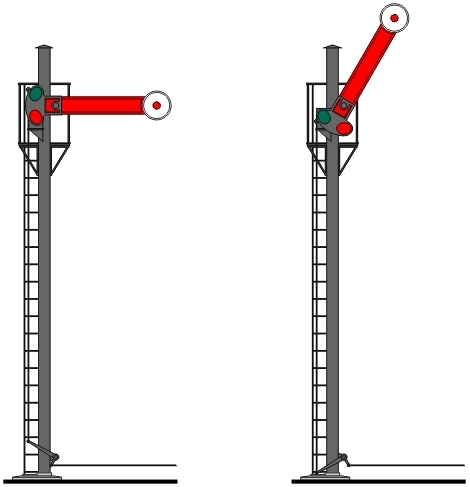 Splitting signals for junctions in the English style had previously not been widespread on the RSR. The RK favoured these much more and they were also applied by the RSR in the 1925 project. A special aspect for a diverging route (as used in Germany, for example) was not considered necessary. The 1925 system persisted until 1964, when a programme of full colour-light signalling was embarked upon. There had been a few isolated colour-light installations before that, usually in conjunction with some other modernisation scheme, notably the stations at Dämenova Krečki and Dronti and the yards between them in 1937, and the docks at Bevice Pofedra in 1953. These showed quite clearly the advantages of colour-light signalling, in particular better visibility and simpler maintenance. In the 1964 scheme, a diverging route aspect was provided. 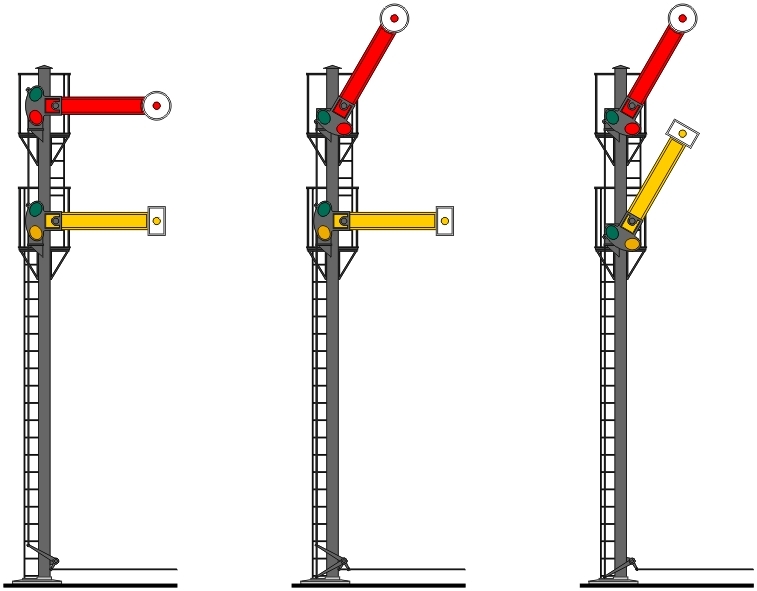 The replacement of an entire railway's signalling system obviously cannot be achieved overnight and it was not until early 1970 that the last semaphores disappeared.